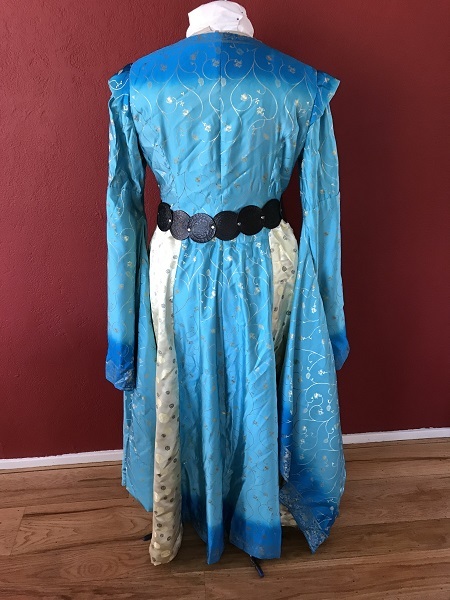 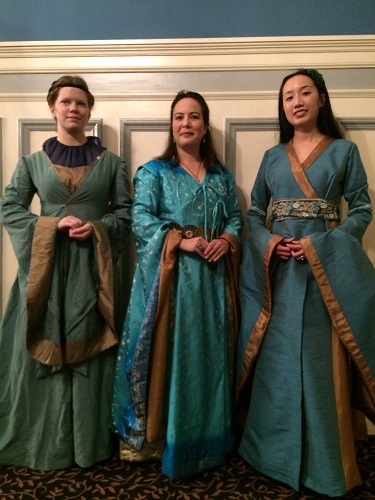 Game of Thrones dresses were made for a themed PEERS dance and a GBACG event at Castello Di Amorosa. 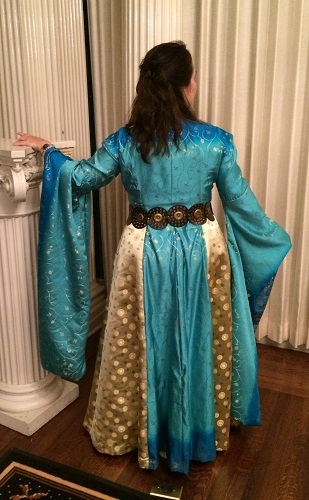 Game of Thrones was a popular book and television series on HBO in the 2010s. 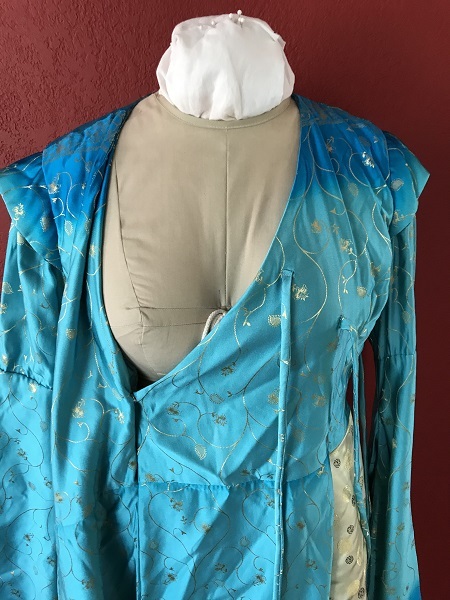 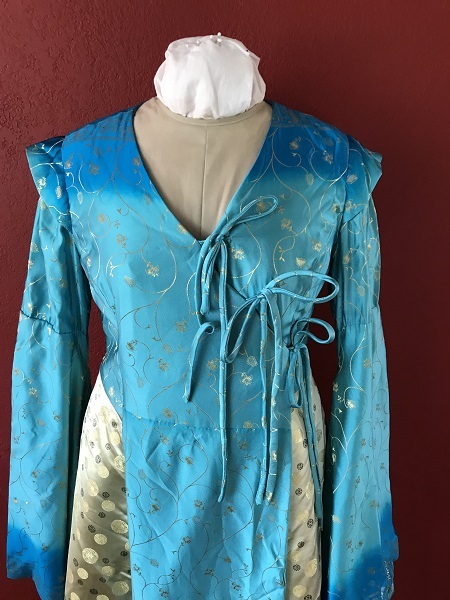 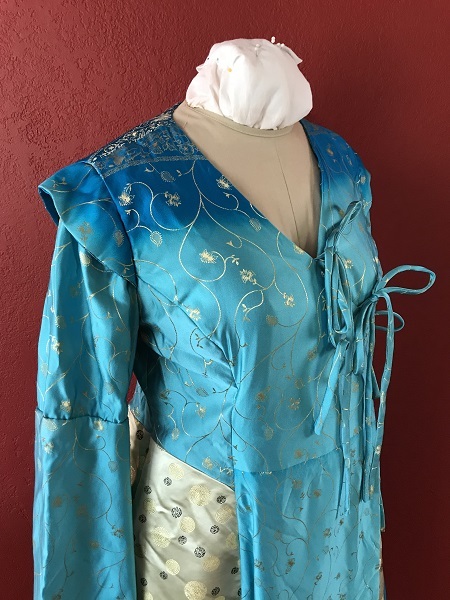 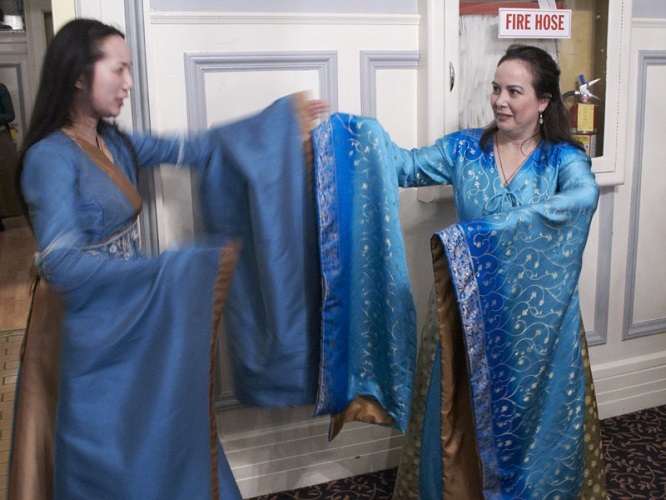 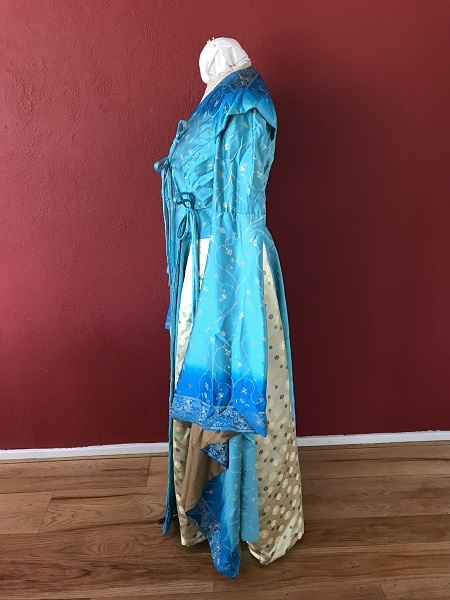 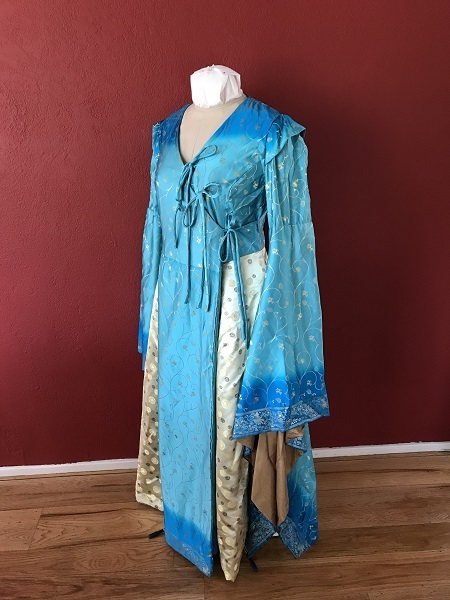 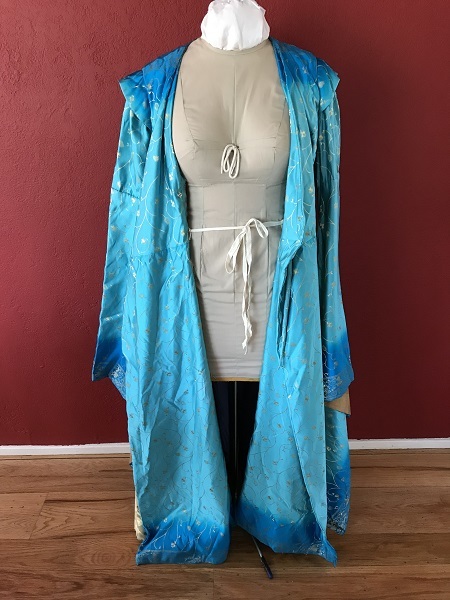 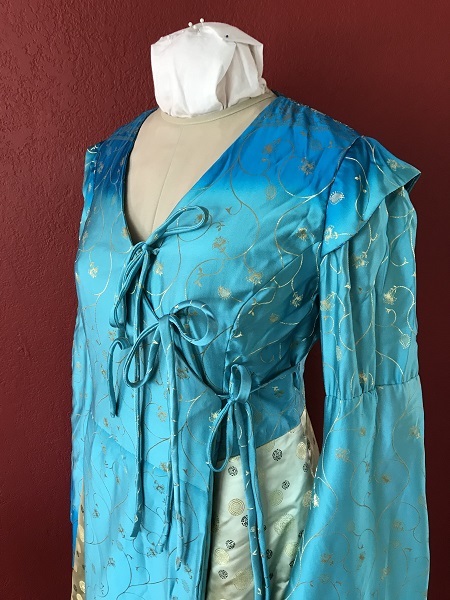 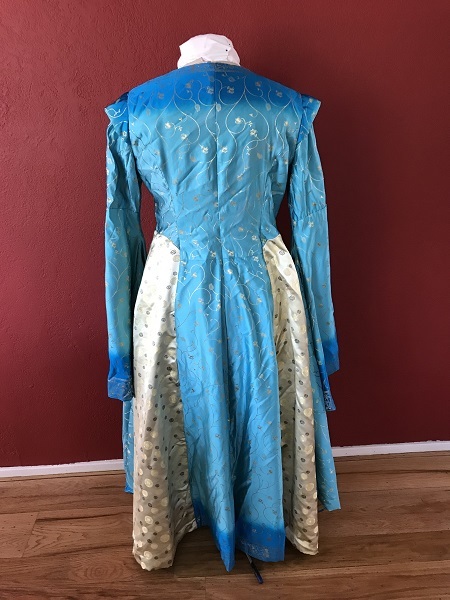 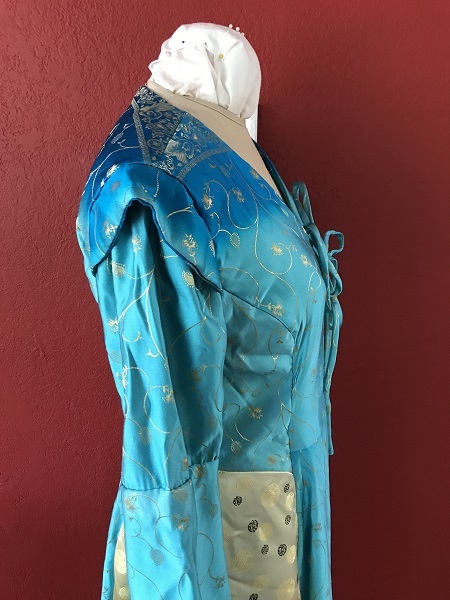 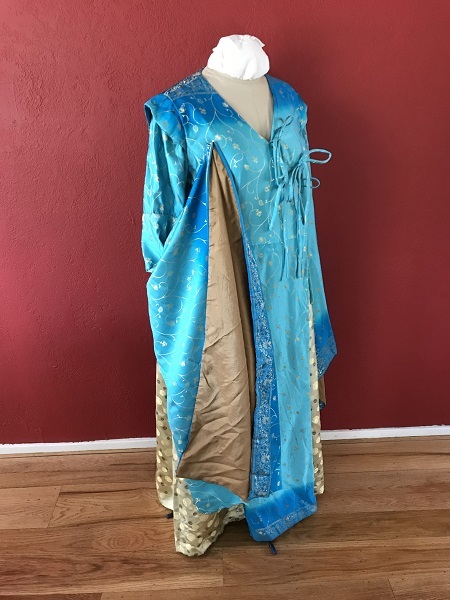 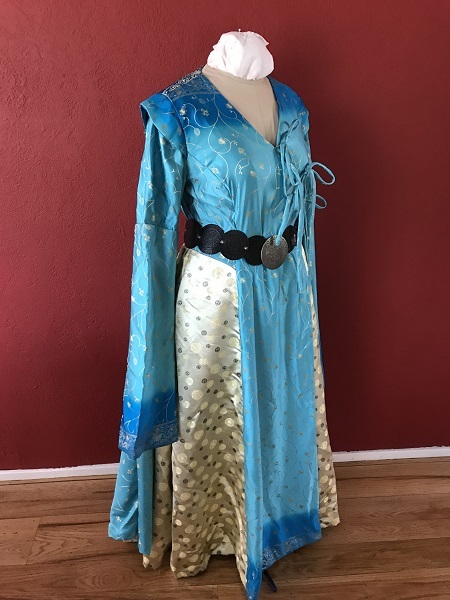 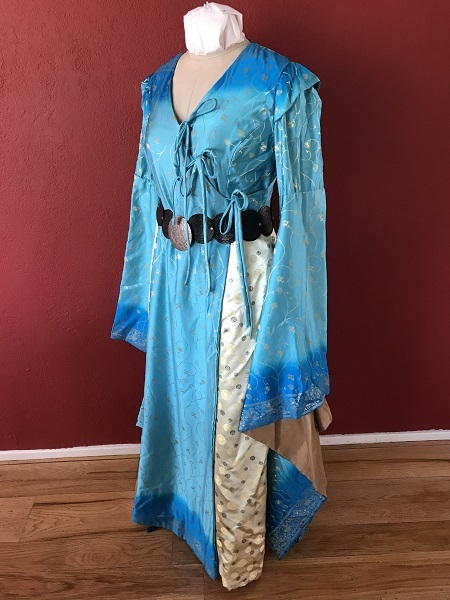 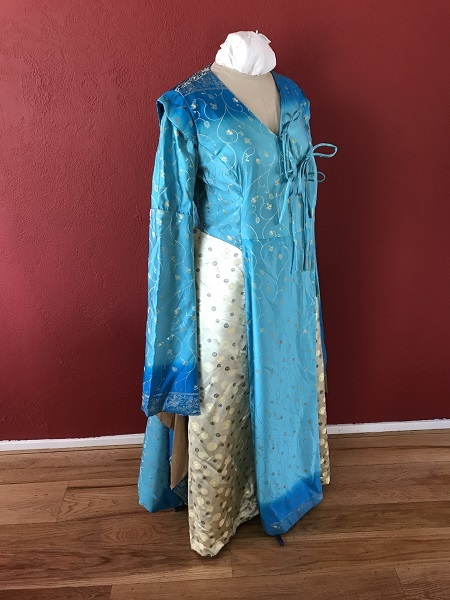 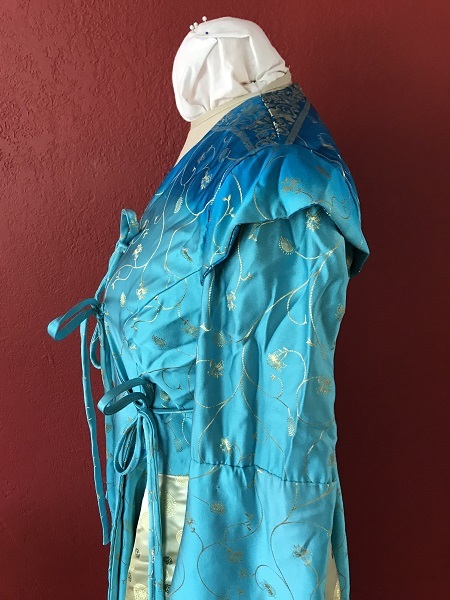 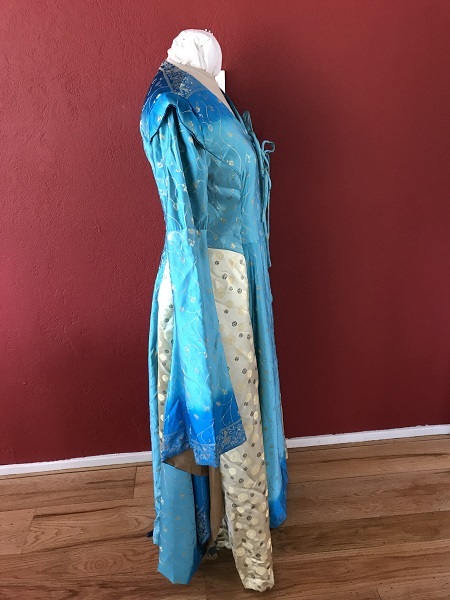 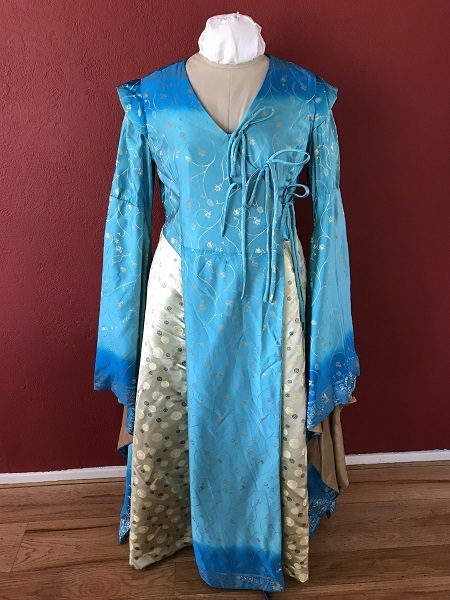 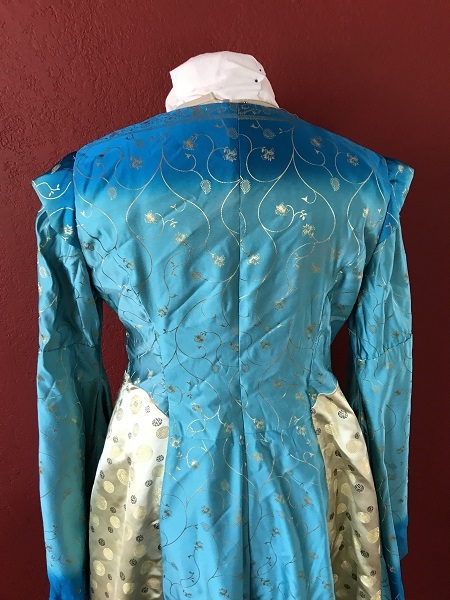 Blue printed polyester and gold brocade satin with purple cotton lining has long flowing sleeves, gold polyester sleeve lining, inner tie, a snap, hidden side pockets, and three outer ties. 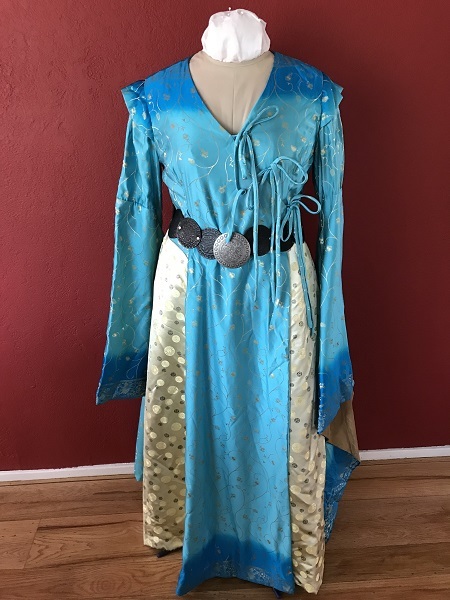 This wrapper dress is meant to be worn over a long skirt. 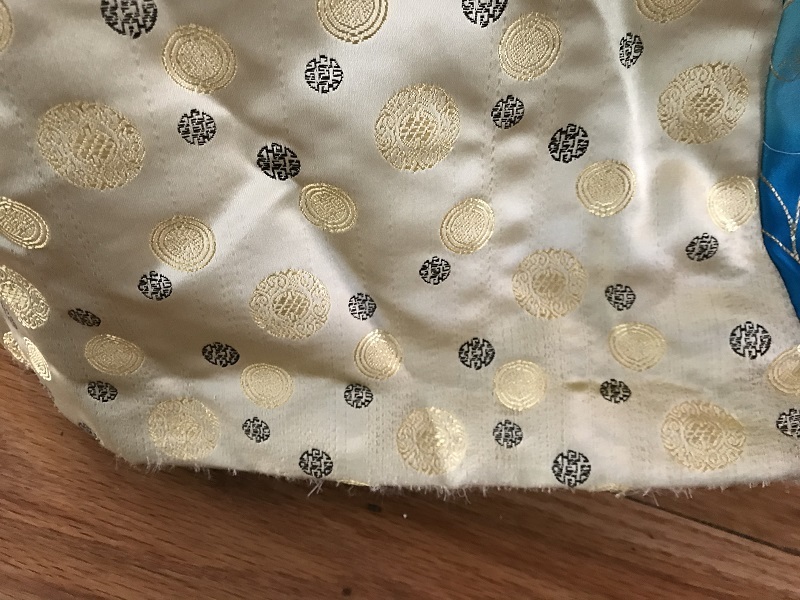 Polyester satin melts on high heat and is prone to snagging. 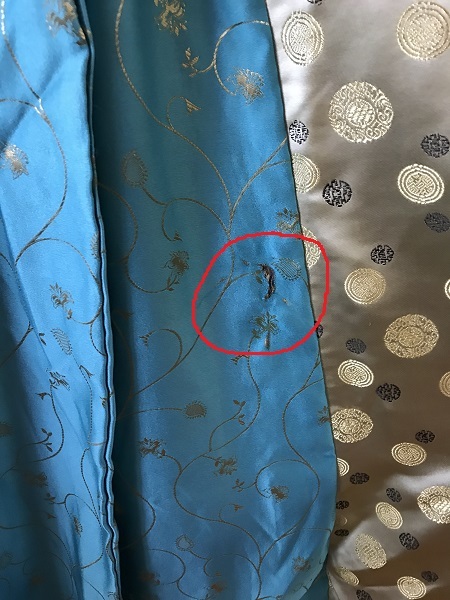 Hem edge of dress has multiple snags from wear. 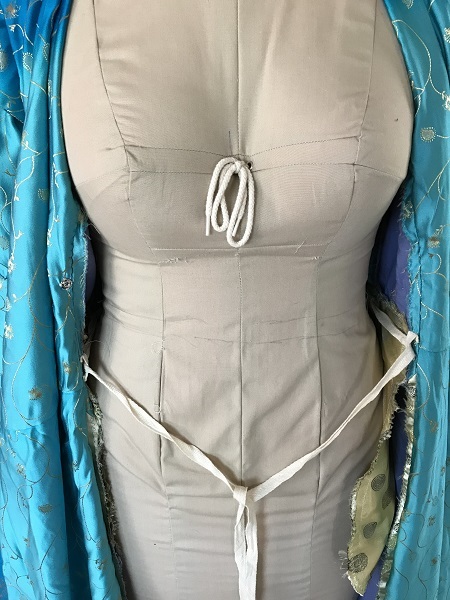 shortening bodice by 3/4" and skirt by 3.25"
increasing width of upper sleeve by 1"
Back Neck to Floor: 53.75"